Google Removes Misleading Anti-Choice Fake Clinic Ads. Again. Google officials vowed three years ago to scrub misleading crisis pregnancy center ads from its platform. Rewire discovered the ads remain in communities around the United States. When Rewire sent screenshots of the Google ads to the city attorneys in Oakland and San Francisco, a spokesperson for the San Francisco city attorney said office policy barred them from commenting on potential investigations. Google is once again scrubbing crisis pregnancy center (CPC) ads from its platform, after Rewire searched for “abortion” in 40 randomly selected mid-sized and major U.S. cities and found at least one anti-choice fake clinic ad nearly 40 percent of the time. Operated by abortion rights foes, the clinics often imply they provide abortion care by looking like an abortion clinic, opening next door to one, or running abortion ads. Most fake clinics aim to attract pregnant people to deter them from getting an abortion. Google’s ad policy prohibits misrepresentation, which is why the tech company removed fake clinic ads in 2014, after an investigation by NARAL Pro-Choice America found that most Google searches for “abortion clinic” in 25 major cities produced at least one ad for the anti-choice clinics. Rewire found misleading Google ads that lead to local anti-abortion clinics and nationwide registries of fake clinics with a toll-free number to call to make an appointment at a neighborhood crisis pregnancy center. There are 4,000 CPCs in the United States, according to a major anti-choice group, far outnumbering abortion clinics. 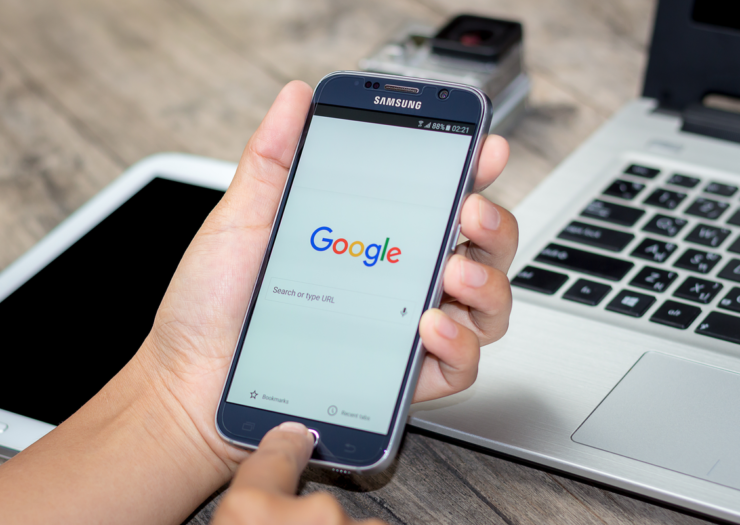 Last week, after Rewire brought the new batch of misleading ads to Google’s attention, a Google spokesperson said it had taken down ads that violated its policy, but couldn’t say how many CPC ads it had removed. The tech giant said last year it took down 1.7 billion ads for violating its policies. The placement of the misleading ads revealed apparent gaps in enforcement of local laws meant to crack down on the exact types of ads that Rewire found. Some ads appear in San Francisco and Oakland, jurisdictions that explicitly outlaw deceptive online advertising by these clinics. Googling “abortion clinic Oakland,” for example, produced an ad that read: “Considering an Abortion? Oakland Abortion Info.” The ad led to Support Circle, a chain of fake clinics in Oakland, San Francisco, and Redwood City. “They usually know that they can Google that,” she told Rewire. She directed Rewire to the executive director of Support Circle, Albert Lee, who did not return Rewire’s call. When Rewire sent screenshots of the Google ads to the city attorneys in Oakland and San Francisco, a spokesperson for the San Francisco city attorney said office policy barred them from commenting on potential investigations. The office said it sent one warning letter to a CPC during the six years the city ordinance has been in effect—and that letter was in 2011. “If anyone has been deceived or had services delayed due to false or misleading information this group provided, we would like to hear about it,” Bernstein said. The recent batch of Google ads lead to fake clinics under investigation in other locales. Googling “abortion New York” produces an ad with the URL freeabortionalternatives.com, which is linked to a chain of New York-area CPCs known as Expectant Mother Care (EMC) Frontline. One of EMC’s clinics reportedly told a woman recently that abortion care would cause her to “bleed out and fall into a coma,” as the Village Voice reported. Abortion is safer than a colonoscopy. Christine Gianakis, with the New York City Department of Consumer Affairs, said EMC faces a hearing this month for two charges in connection with the city’s Pregnancy Service Center Law for failing to notify the public that the facility does not have a licensed medical provider on staff. The city ordinance, however, does not prohibit false advertising. Visitors to the page youroptions.com are directed to call an “Option Line,” a toll-free number run by Heartbeat International, a multi-million dollar anti-choice organization based in Ohio. Heartbeat International claims it fields 600 calls a day connecting women to local fake clinics. The foundation did not respond to Rewire’s request for comment. The misleading ads come at a time when the regulation of fake clinics faces a fundamental First Amendment test. Next year, the U.S. Supreme Court will hear an appeal to a 2015 California law regulating pregnancy resource centers. The law requires CPC staff to notify clients of “public programs that provide immediate free or low-cost access to comprehensive family planning services, prenatal care, and abortion, for eligible women.” The plaintiffs attorneys’ contend the law forces religiously run centers to convey a pro-choice government message that runs contrary to their faith. Meanwhile, elected leaders in Hartford, Connecticut, last month weighed a new regulation on fake clinics similar to San Francisco’s and New York’s. Castaldi-Micca said it’s common for there to be a learning curve before enforcement of laws regulating CPCs kicks in.